Kale always seems to be in the news. It’s a Superfood! A healthy green! Has tons of vitamins and nutrients. One cup of Kale has 10,000 i.u. of vitamin A! Compare that to 103 bananas. And it has as much vitmain K as 384 carrots. Not impressed? How about Kale as a source of Calcium? That’s right, just 1 cup of Kale contains 9% of the daily value of calcium. And that’s just for starters. Here is Kale’s nutrition data. But the best qualities of kale come from the fact that it’s a leafy green. 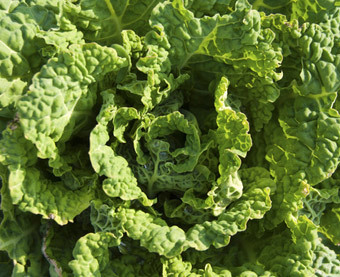 As a leafy green, Kale contains dietary fiber as well as magnesium and manganese. And that is important to anyone who is trying to lose weight or maintain it or to anyone who suffers from some type of inflammation. If you are watching your weight or if you have inflammation issues know this: Fat cells store toxins! And toxins cause inflammation. As a certified nutrition coach I am a firm believer in incorporating a detoxifying program with a weight loss program. As a result it is quite common for clients to not only see results in weight loss but also in the reduction of inflammation. So how does Kale fit in with all this? Kale, as a leafy green is nutrient-dense, highly anti-inflammatory, high in fiber and a healthy choice for weight loss and wellness. So how do we get past that bitter taste some people may have a problem with? 1. Buy Fresh Kale – Whenever possible I buy my Kale fresh from local farmers rather than the kale in grocery stores. The difference is amazing! And I find the kale not at all bitter when I buy it fresh locally. Another important cooking tip is to cut off the spine of the kale leaf. That is where the bitterness is. Make sure you cut that off before you add the kale to whatever recipe you are using. But don’t throw the ribs out!! If you don’t have a compost pile but you have a dog, give the rib to the pooch! 4 of my 5 pooches sit at attention the minute I take the kale out of the fridge! They LOVE chewing on it. Here is a delicious salad recipe made with kale and the dressing adds flavor that may just make you a fan. 2. Put That Kale In A Blender – Start by adding Kale to smoothies! Cut off the spine and chop it up and put a little in a high protein smoothie. Start with a little and before you know it you’ll be adding a good bunch. And you won’t taste a thing!!! Great way to get kids to eat it too. Or fussy husbands. =) Any of your favorite smoothie recipes will work. If you don’t have any try adding Kale to the Purple Power Smoothie Recipe posted elsewhere on this blog. Use it as a base or tweak it to suit your needs. 3. Add It To Soup or Stir Fry – Add Kale to a stir fry or to soup. Chop it up small and barely heat it up until it wilts. The goal is to keep as many nutrients intact and not lose them to cooking. Don’t have a good Kale Soup recipe? Here is one which is full of nutrients and antioxidants and is very hearty. You might just get hooked on Kale! Yogurt would be a great thing to eat if you have a large portion of it.